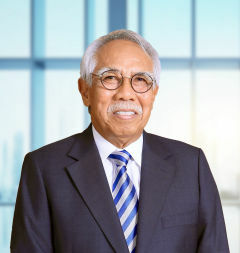 Dato' Noorazman Abd Aziz was appointed to the Board of UEM Group Berhad (UEM Group) on 15 November 2010 and was named Chairman on 1 January 2018. In addition to UEM Group, Dato' Noorazman also sits on the Board of several UEM Group of Companies including UEM Sunrise Berhad, UEM Edgenta Berhad, PLUS Malaysia Berhad and PT Lintas Marga Sedaya in Indonesia. He is a practising member of the Association of Chartered Islamic Finance Professionals (ACIFP). He holds a Bachelor of Science (Finance) Degree from Louisiana State University, USA. Dato' Noorazman has vast experience in international finance, banking and financial markets including treasury and capital markets. 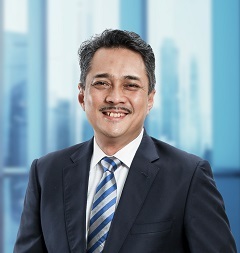 Dato' Noorazman joined Khazanah Nasional Berhad as Executive Director, Investments in May 2010 after having spent 2Â½ years as Managing Director of Fajr Capital Ltd, a Khazanah investee company. Prior to this, he had exposures in international banking and finance through stints at Citigroup, Bank Islam Malaysia Berhad, Kuala Lumpur Stock Exchange and Labuan Offshore Financial Services Authority (LOFSA). Dato' Mohd Izani Ghani was appointed Executive Director and Board Member of UEM Group Berhad (UEM Group) on 1 January 2019. He has over 27 years of investment and management experience and prior to joining UEM Group, Dato' Mohd Izani was the Executive Director, Investments at Khazanah Nasional Berhad (Khazanah) where he oversaw its Turkey Regional Office. He was formerly Khazanah's Chief Financial Officer where under his leadership, the Government's strategic investment arm issued many landmark sukuk transactions including exchangeable and Social Impact Sukuk. He had also previously served at Putrajaya Holdings Sdn Bhd and Renong Group. Dato' Mohd Izani currently sits on the Boards of several UEM Group of Companies including UEM Sunrise Berhad, UEM Builders Berhad, Cement Industries of Malaysia Berhad or CIMA, Konsortium ProHAWK Sdn Bhd and Samsung C&T Corporation UEM Construction JV Sdn Bhd. He is also a Board Member of Bank Muamalat Malaysia Berhad. Dato' Mohd Izani is an alumnus of the London School of Economics and Political Science (LSE), class of 1991. He subsequently obtained his professional qualification from Association of Chartered Certified Accountants (ACCA) and was conferred fellowship in 2000. He is a member of Malaysian Institute of Accountants (MIA) and Chartered Institute of Islamic Finance Professionals (CIIF). 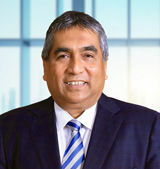 Abdul Kadir Md Kassim was appointed to the Board of UEM Group Berhad on 27 September 2001. Abdul Kadir served in the Malaysian Administrative and Diplomatic Service and in the Judicial and Legal Service between 1966 and 1973, holding various positions. Abdul Kadir holds a Bachelor of Laws (Honours) degree from the University of Singapore. He is the Senior Partner of Messrs Kadir, Andri & Partners. He is currently the Chairman of TIME dotCom Berhad and Cement Industries of Malaysia Berhad. Abdul Kadir is a member of the Investment Panel of Tabung Haji and of the Corporate Debt Restructuring Committee. He is also a member of the Board of Directors of Danajamin Nasional Berhad and of the Financial Services Professional Board. Lim Tau Kien was appointed to the Board of UEM Group Berhad on 16 July 2012. Ms. Lim graduated from the University of Glasgow Faculty of Law and is a member of the Institute of Chartered Accountants of Scotland. She began her career with Ernst & Young, United Kingdom, before serving the Ministry of Finance and Prime Ministerâ€™s Department as a Federal Accountant. She subsequently joined the Royal Dutch Shell Group where she held various senior finance positions over a period of 25 years, her last position being the Country Chief Financial Officer/Finance Director/Country Controller of the Shell Companies of China from 2004 to 2008. She has served the Institute of Internal Auditors Malaysia and the Oil and Gas Financial Management Association Malaysia as Vice-President of the two bodies. 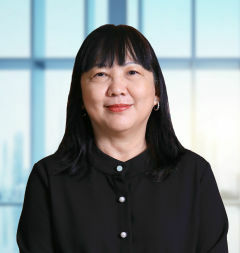 Ms Lim has been a director of listed and non-listed companies since 1997. She is currently also an independent non-executive director of Hong Leong Financial Group Berhad, Malaysian Pacific Industries Berhad, HLA Holdings Sdn Bhd and Hengyuan Refining Company Berhad. Dato' Mohamed Nasri Sallehuddin was appointed to the Board of UEM Group Berhad on 1 June 2016. He also sits on the Board of Cement Industries of Malaysia Berhad (CIMA) and PT Lintas Marga Sedaya in Indonesia. 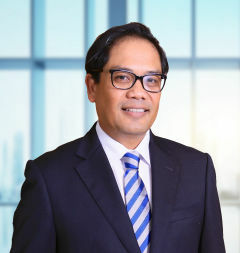 Dato' Nasri is the Executive Director of Corporate & Support Services, Company Secretary and Head of Legal at Khazanah Nasional Berhad which he joined on 1 September 2009. Prior to that, he was a partner with a leading law firm in Malaysia, advising clients on corporate law and the legal aspects of corporate restructuring, take-overs and mergers. Nasri was actively involved with the firmâ€™s expansion in South East Asia and Middle-East. Dato' Nasri obtained his Bachelor of Laws (Hons) degree from University of Wales, Aberystwyth, United Kingdom in 1993. He sat for his bar examination in 1994 and was admitted to Grayâ€™s Inn as a barrister-at-law in 1995. Having completed his pupillage, Nasri was admitted to the High Court of Malaya as an advocate and solicitor in 1996. He also holds an MBA from University of Strathclyde, Scotland. Nasri was voted as Malaysia In-House Lawyer of the Year at Asian Legal Business Malaysia Law Awards 2014. Wong Shu Hsien was appointed to the Board of UEM Group Berhad on 8 August 2011. She holds a Degree in Economics from Cambridge University and a Masters in Economics from the London School of Economics. Shu Hsien is a Chartered Financial Analyst. She joined Khazanah Nasional Berhad in February 2005 from BinaFikir Sdn Bhd. Previously she worked in a private equity firm called Emerging Markets Partnership, the Principal Adviser to AIG Infrastructure Fund II. Prior to that, Shu Hsien worked as a research analyst. She is currently a Director of Investments at Khazanah Nasional Berhad. She is also a Director of PLUS Malaysia Berhad, Projek Lebuhraya Usahasama Berhad and at UEM Sunrise Berhad, she is an alternate Director to Dato' Noorazman Abd Aziz, Chairman of UEM Group Berhad. Dato' Noorazman joined Khazanah Nasional Berhad as Executive Director, Investments in May 2010 after having spent 2 1/2 years as Managing Director of Fajr Capital Ltd, a Khazanah investee company. Prior to this, he had exposures in international banking and finance through stints at Citigroup, Bank Islam Malaysia Berhad, Kuala Lumpur Stock Exchange and Labuan Offshore Financial Services Authority (LOFSA).